I was distinctly underwhelmed by my last foray into the DC Extended Universe with Wonder Woman’s plot-jumping historically disrespectful origin story. So it was with a heavy heart that I sat down to watch Justice League. It turns out that a normally indestructible superhero has died. The world apparently mourns the loss of Superman and is suffering from a wave of conflict in the absence of his quick flighted interventions and stern laser stares. To make matters worse, three hidden ‘Mother Boxes’ have sensed the world’s low biorhythm and been activated. Should villainous Steppenwolf (Ciarán Hinds) collect all three the planet will be destroyed. 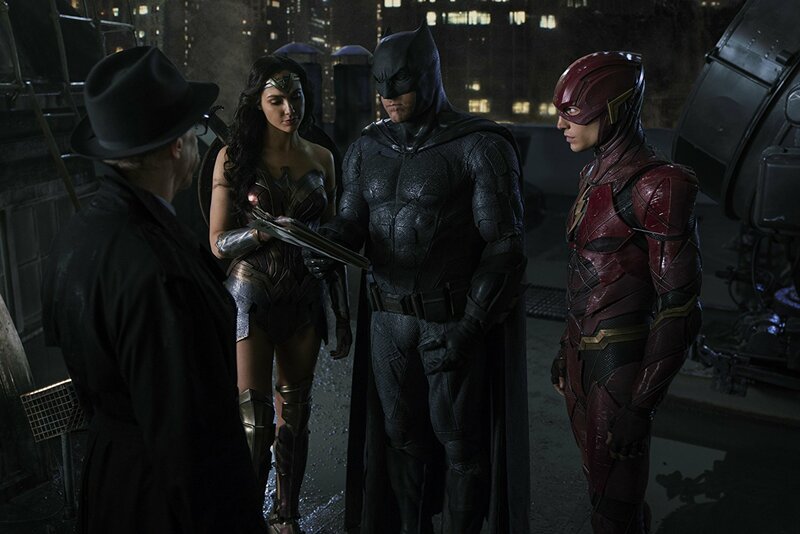 Batman (Ben Affleck, whose superpower is having a bank account even larger than his garage) and Wonder Woman (Gal Gadot) don’t seem to be cutting the mustard and filling the vacuum. (What happened to Robin?) 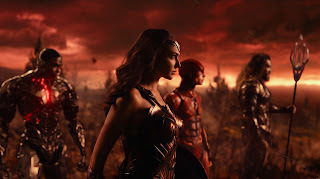 Needing help, they decide to build an alliance, roping in the skills of Aquaman (Jason Momoa, complete with trident and tattooed gills), Cyborg (Ray Fisher, with considerable firepower in his transformer-like limbs) and The Flash (Ezra Miller, no relation it seems to Flash Gordon). It’s a motley crew and the two hour long film feels as if director Zack Snyder dropped every third page of the script to the floor in homage to Scandi-baffling The Snowman. 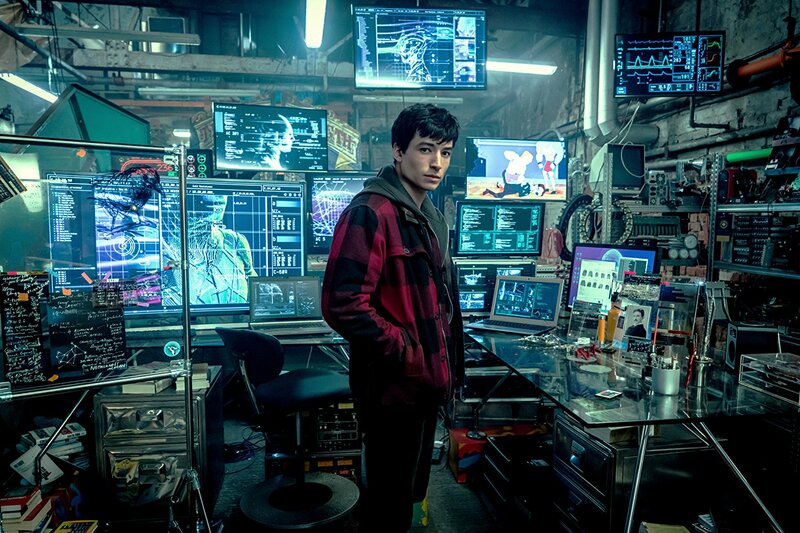 The duration may be justified by the need to introduce the five superheroes, Lois Lane (Amy Adams, with the super power of sniffing out a news story and getting to the truth) and an old friend (played by Henry Cavill). There’s a lot of love and loss running alongside the race to find the boxes and figure out how to beat the enemy. Two actors (and their characters) stand out from the assembled motley crew who are ill at ease around each other (and not just because their costumes clash). Gal Gadot delivers some of the best performances with her poised Wonder Woman who steps forward to become a leader as well as finding time for comedy uses of her lasso of truth despite the pressure of time faced by the team. Ezra Miller’s warm, non-violent, hesitant and most likely autistic Flash is at the heart of most of the movie’s humorous moments. Deep down there’s a message about living up to your potential and not giving into deadly fear. But it’s buried so deep that not even Aquaman may not be able to swim down to those depths to pick it up. A super hero is jump-started, a Batmobile reverses at speed, and Aquaman flies through the air as well as water. Justice League is two hours of light-hearted, save-the-world nonsense that’s more enjoyable to watch than Wonder Woman, and proves that when playing Superhero Top Trumps, the red-caped wonder is the winning card despite being a terrible show-off. Complete drivel, but surprisingly entertaining: yet a franchise badly in need of a story. 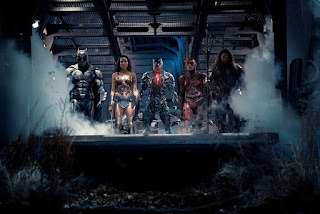 Justice League is playing in Movie House Cinemas and many other screens.